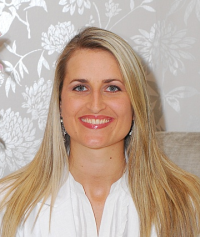 Dr Toni Van der Merwe obtained her MBChB from the University of Cape Town in 2005 where she qualified with first class honours. She completed her internship in 2006 at Somerset Hospital and her community service in 2007 at Victoria Hospital, where after she was a medical officer in the accident and emergency department for three years. During her time there she took courses in advanced paediatric and adult life support. Through her studies, she received the 2003 John Fleming Brock prize for family medicine as well as the 2004 medal from SA Society of Anaesthesiologists. She is also a member of The Aesthetic and Anti-ageing Medicine Society of South Africa. She has always been very interested in the aesthetic side of medicine, and really enjoys working with people who take care of themselves or who want to better themselves in some way. She started working at the Renewal Institute in July 2011 and consults from the Cape Quarter, Claremont and Constantia branches in the Western Cape.